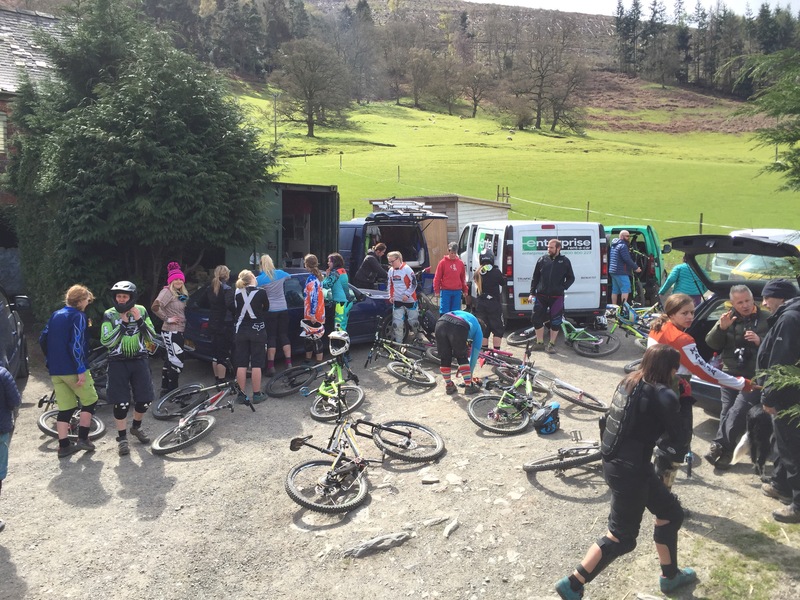 In 2015 I went to the Girls at Moelfre weekend organised by Lucy Lucyslifeandbikes . 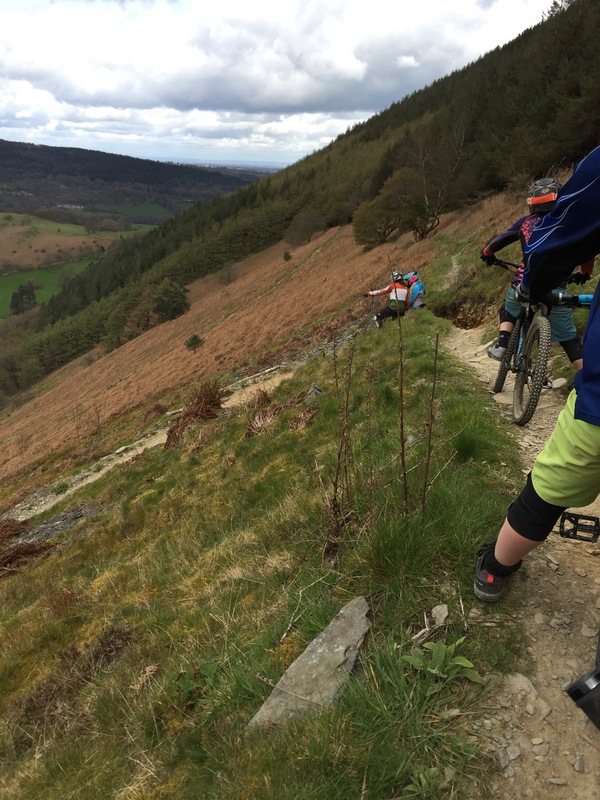 So when I saw that Lucy was organising a Girls at Llangollen day I thought ‘what the hell!’ despite having heard that the runs there are really pretty hard! 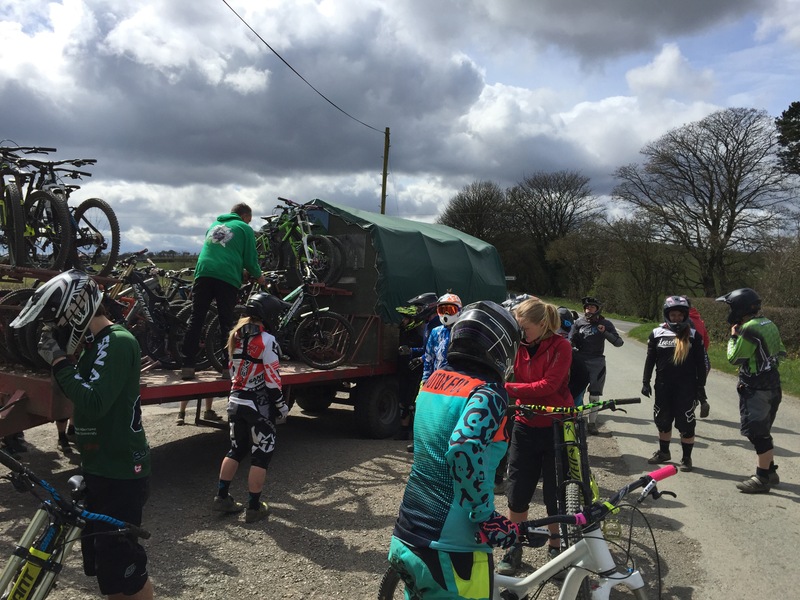 It worked out that this was to be held on the Sunday, after MTBMeetup/TrailTakeover on the Saturday. I was a bit nervous about going as I might recognise a few people but didn’t actually know anyone. 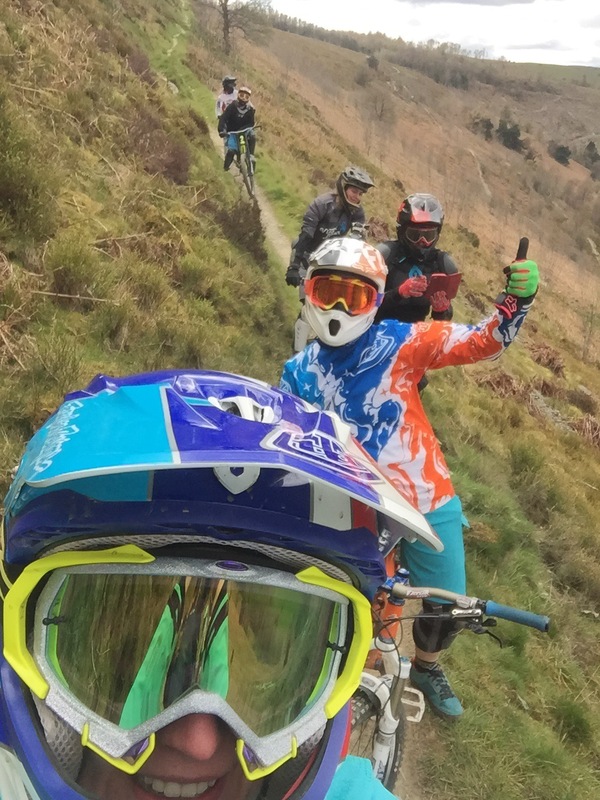 As it was I met someone who came along for the 2nd Trailtakeover ride who was going to be there so that made me feel a little less nervous! After driving round the countryside for a short while on the Sunday morning I eventually found the farm that the Llangollen trails are based at. I recognised a few people so said hi and had a bit of a catch up, and we all jumped in the trailer and went to the top. 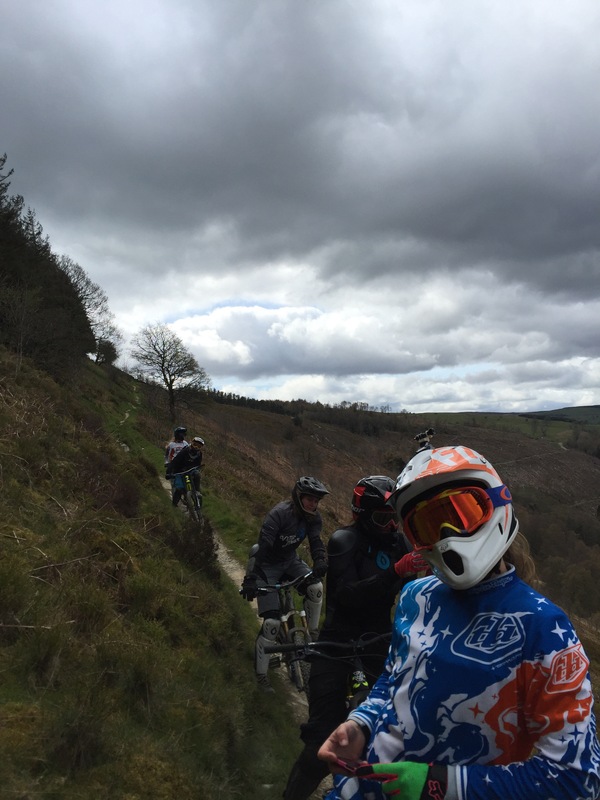 My initial reaction was that it is super steep – despite doing the ‘easy’ lines! I have a bit of a phobia against narrow trails and some of this at the beginning wasn’t much wider than my tyres. I eventually got over my fears and had an amazing time, the women that were there were a really good bunch, and hopefully I’ve made some great friends out of pushing myself to do something a bit different!